Horizon — Willow & Stump Design Co. 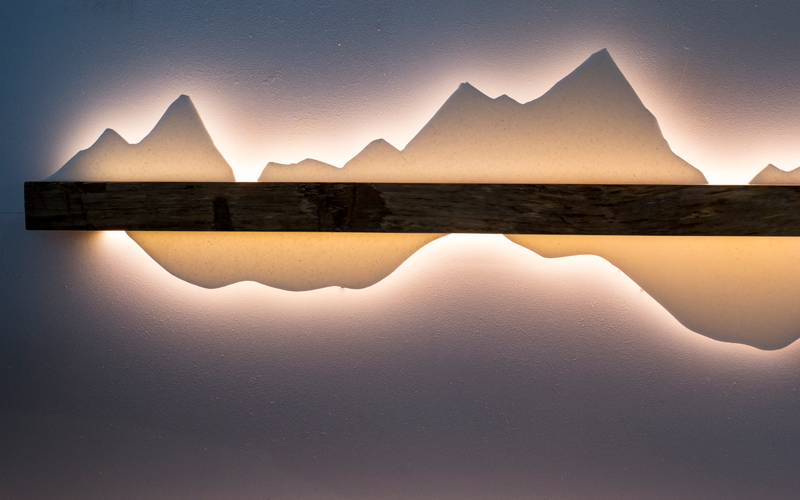 The Horizon Series of LED wall lighting and storage is inspired by the West Coast landscape and the intersection between modern design and the natural properties of wood. Each piece features a cedar storage or shelf component along with a translucent Corian landscape. The Corian is backlit by strips of LED lights. 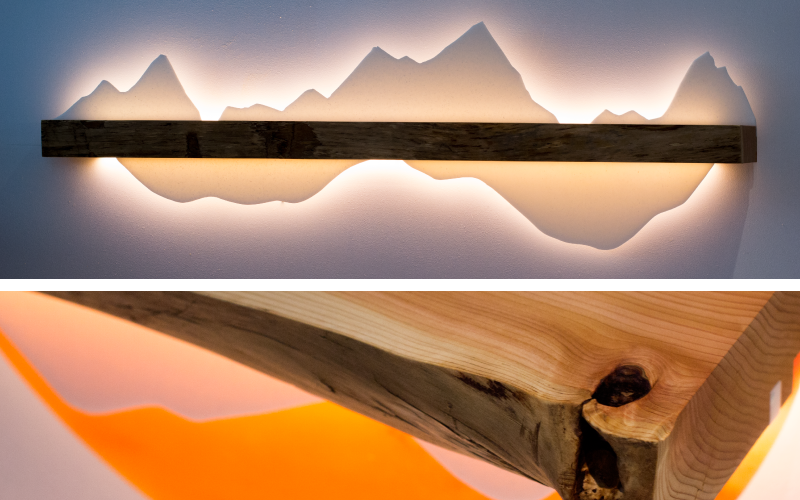 Because of the unique pieces of cedar, and the variety of Corian patterns, no two lights are the same.